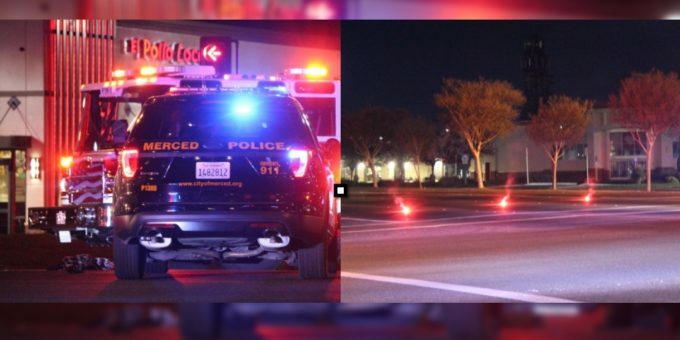 On March 17th, 2019, at approximately 11:22 P.M. Merced Police officers responded to a vehicle vs. Pedestrian collision at the intersections of Olive Avenue and M Street. When Officers arrived, they located a Juvenile Male in the middle of the intersection. Upon further investigation, it appears the Juvenile was on a skateboard and entered the intersection with oncoming traffic. The juvenile was hit by a white-colored Volkswagen Beetle, the vehicle was traveling Eastbound on Olive Avenue, the occupants of the vehicle stayed on scene and gave their statement to officers. The juvenile was med-flighted to an out of area hospital. No further information is available. Merced Police are asking anyone with any information regarding this accident, to contact The Merced Police Department Traffic Division at (209) 388-7719. The public can send information via anonymous text messages to the police department by dialing “TIP411” (847411) and including the word “Comvip” as the “keyword” in the text message.